Teaching methodology: What is a C2P Jam? 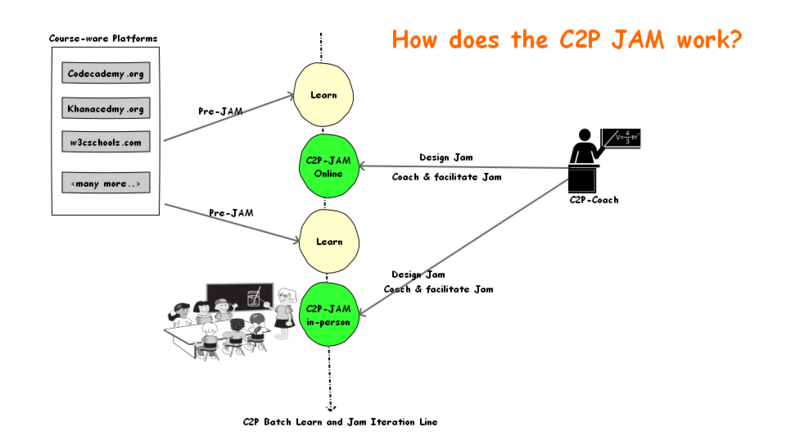 The following simple schematic explains the C2P Programming JAM Methodology. C2P Jam parallels very closely with musical Jam’s in which musicians practice in isolation and then later Jam as team to improvise what they practiced alone. Here is a detailed post on this topic. Here is a sample Jam that Batch 1 is currently working on.